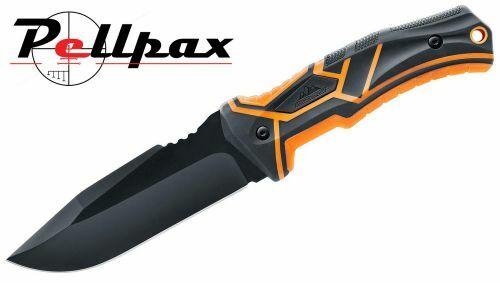 The ODL fixed blade knife from Alpina Sport is a strong and sturdy knife, thanks to its full tang construction to achieve the best in strength. The blade is made from 420 stainless steel to prevent rusting over time, and the blade is coated in a durable black coating. A hole is incorporated into the grip for a lanyard, and the knife comes complete with a holster. Add this item to your basket & spend an extra £476.01 to apply for finance.